We all know I love some polka dots, but not everyone does. Those people are crazy, but they deserve love too. So let's look at some pin dots. 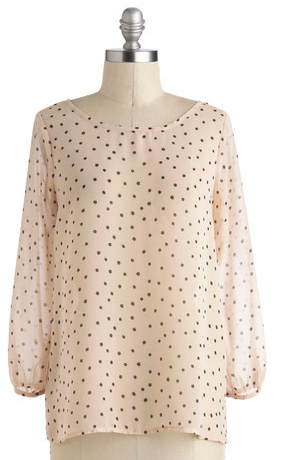 Tiny, mini, however you'd like to say it, these dots are understated and as sweet as can be. Let me tell you something about this cardi, it's 83% off. That's right this cashmere beauty was originally $280, go buy now. This is the mullet top. It's business in the front and party in the back. 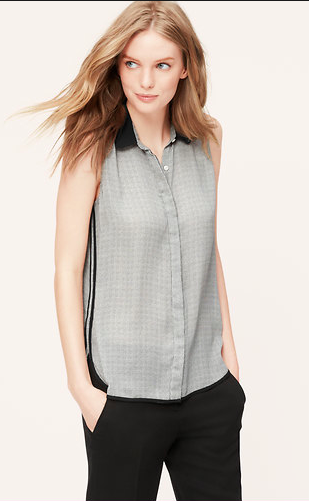 A simple and chic layering piece that matches the feminine dots with a tuxedo stripe. 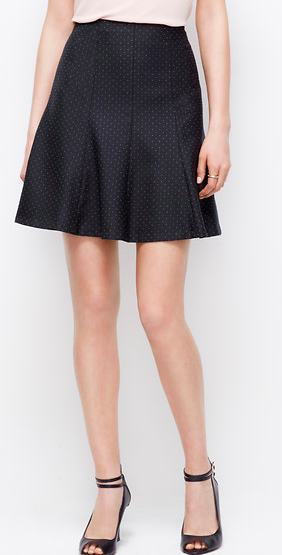 Yes, you can wear dots on the bottom. This pindot pattern is quiet and the flounce style is perfectly swingy. Pindot, tiny dot, mini dot, you call it whatever, but no matter what you call it, it's girly without being loud.